عندما تزور نيو بليماوث, ستشعر أنك في بيتك في Carrington Motel الذي يقدم لك إقامة متميزة و خدمات عظيمة. يقع الفندق على بعد 0.5 Km من مركز المدينة، ويؤمن الوصول إلى أهم مراكز المدينة. إن سهولة الوصول من الفندق إلى المعالم السياحية الشهيرة الكثيرة في المدينة كمثل بوكاكورا, نيو بليماوث, ماريس هو استثنائي بحد ذاته. يعمل Carrington Motel على ضمان إقامة مريحة لضيوفه من خلال خدماته الممتازة وحسن ضيافته. إن واي فاي في المناطق العامة, صف السيارات, خدمة الغرف, خدمة غسيل الملابس هي جزء فقط من الخدمات التي تميز Carrington Motel عن باقي الفنادق في المدينة. استمتع بوسائل الراحة الراقية في الغرف أثناء إقامتك هنا. بعض الغرف تتضمن اتصال لاسلكي بالإنترنت, غرف لغير المدخنين, تدفئة, خدمة الإيقاظ, مكتب لمساعدتك على استعادة طاقتك بعد يوم طويل. يقدم الفندق مجموعة واسعة من وسائل الراحة المتنوعة، كمثل: حديقة. إن Carrington Motel هو خيارك لخدمة الفنادق الراقية في نيو بليماوث. Very good small country city motel situation. Next time I'm in New Plymouth, I know where I'm staying. The room was beyond spacious, comfortable in every aspect. Not miserly with tea and coffee issues. A fully functional kitchenette. Laundry on the premises. Large screen T.V., not the sort of poky token gesture I normally get met by. More features than I have time to mention, along with a fully cooked breakfast delivered to your room, and all delivered with service standard rarely met with. 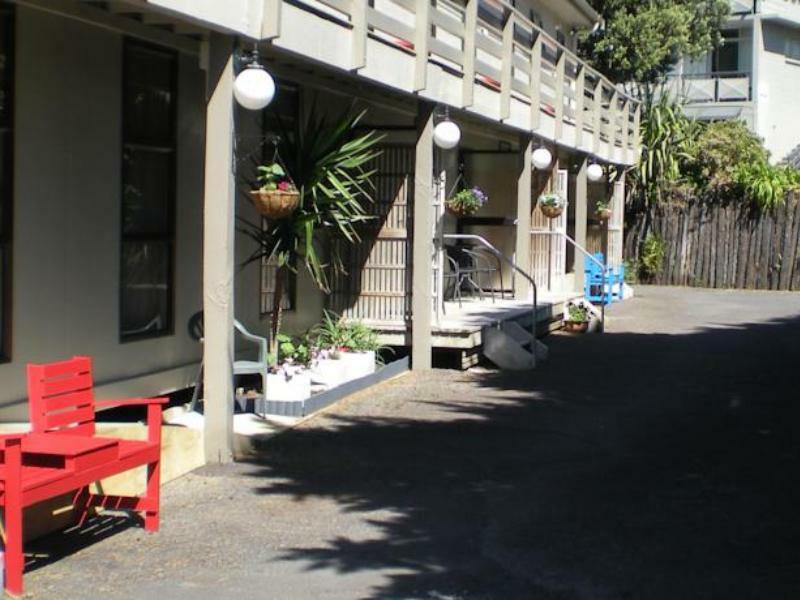 This motel is in a convenient location near the city but has lovely big trees and garden with birds so is a quiet haven. There's no traffic noise. It's close enough to walk to several parks and to the city shops. Requested for extra beds & were FOC. Had a happy time sight seeing accommodation was very good for our purpose. room are spacious, well equipped wx basic cooking facility.. 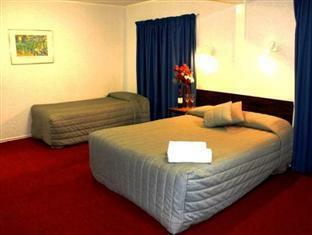 Located near to the central park, spacious rooms and in a quiet location. We stayed for 2 nights at the Carrington hotel :( Very unsatisfied. Staff was very unpleasant and downright rude. Internet was horrible, only allowed 200 Mega Bytes per day. You can purchase an additional 200 mega bytes for $10 dollars a pop..... Hotels were very dated and not worth the money paid. Price...value for money. Situation....close to city and parks. Comfortable bed. Excellent value for money. 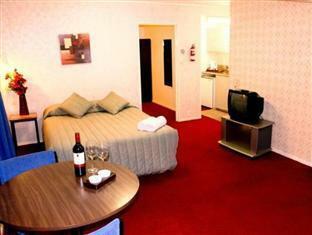 well serviced, comfortable rooms. room is spacious with parking right in front. Beds are comfortable. The hosts are friendly and it has the things we need.